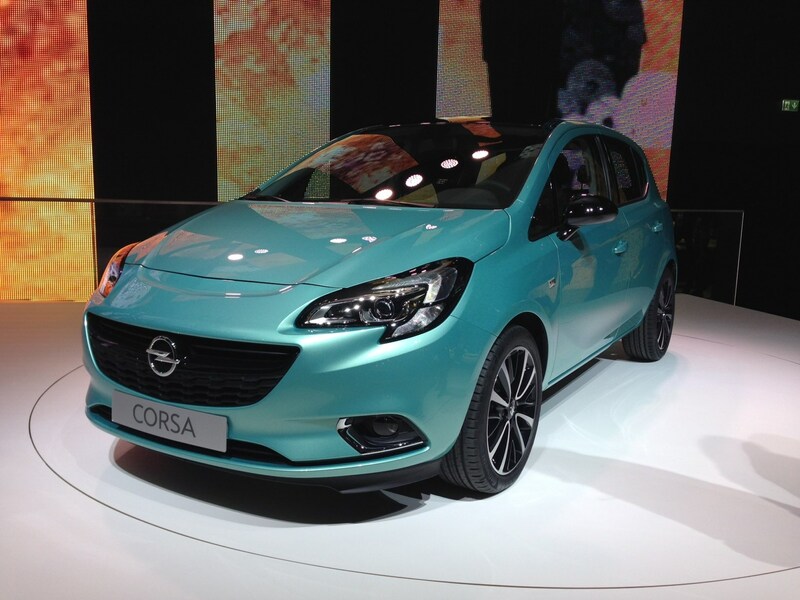 Huge news for Vauxhall at Paris this year - here's the all-new Corsa getting its first public unveiling. The entire car has been given a re-hash, and it was badly needed as rivals are better than ever, yet the Corsa's design was launched way back in 2006. It comes in either three or five-door models and features some new engines. A new 1-litre three-cylinder petrol engine will be available in two outputs, while a 1.4-litre turbo will join a 1.3-litre diesel and either manual or automatic gearboxes. The real eye-catching news is the price cut on the new model versus the old one. Prices have been cut by to £3000 and the entry-level Corsa now starts at just £8,995 on the road. Vauxhall reckons it has simplified the range with just nine trim levels (down from ten), with Life, Sting and Sting R, Design, SRi, Excite, SE, SRi VX Line and Limited Edition. While the British company has reduced prices the company states that build quality has improved and there's more kit as standard. Buyers seek the cheapest route into Corsa ownership will pay £8,995 for the 3-door Sting model which comes with more kit as standard than the Life model. Move up to the 5-door version and the price jumps to £9,595. The base model is the Life version which features adjustable steering for reach and rake, electrically adjustable door mirrors, electric powered front windows and tyre pressure monitoring system. At the other end of the range is the SRi VX-Line which features a much more sporty look. Prices start from £12,630. As with most cars these days, safety is something Vauxhall is making big noises about. The new Corsa gets features such as automatic self-parking, tyre pressure monitoring, hill start assist and even automatic high-beam headlights. Find out more in our comprehsive guide to the new Vauxhall Corsa. 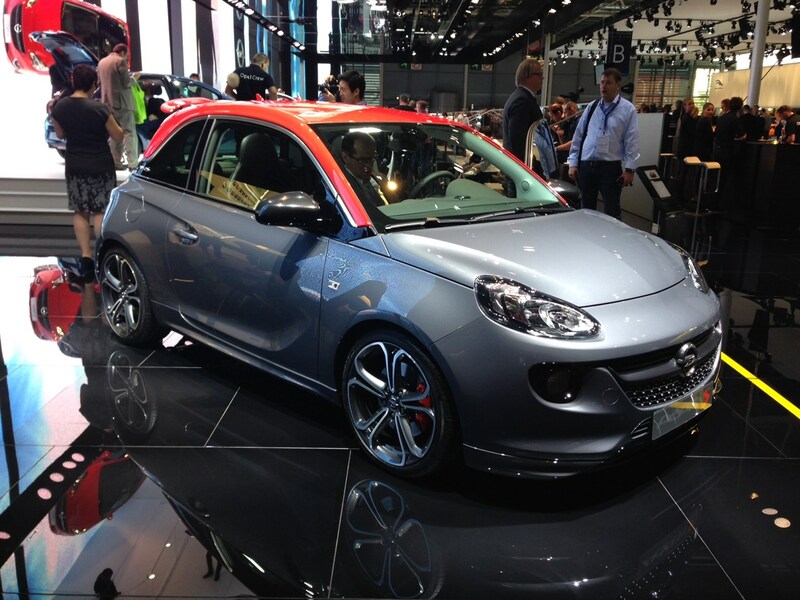 The firm also unveiled the hot version of the Adam, known as Adam S.
This model uses a 1.4-litre engine with 149bhp. The British brand also unveiled the name of its new city car. It'll bring back a well-known Vauxhall badge back from the grave. It's the new Vauxhall Viva! There's a new 2-litre diesel engine for Insignia and Zafira Tourer. It has 168bhp and 400Nm, yet promises improved fuel economy and CO2 emissions over its predecessor, the 163PS (161bhp) diesel.